I am thankful that our youth group is a “safe and friendly place for youth.” YMIM has a small mailing list, so as I read through the names – possibly including your name – I share a prayer that each congregation may also be this beacon of hope, grace, and faithfulness for young people in our communities. Please let me know if I can help. I spent some time this summer with two pastors and two youth ministers that have very successful youth programs. They are Presbyterian, Methodist, and Baptist (there’s a parachute or light bulb joke in there somewhere!). I asked them, “why is your youth ministry so successful?” They all said the same thing – their churches make youth ministry a priority. They shared their case studies with me. One saw his youth ministry increase in size last year after the congregation focused on growth and invested in its family ministry budgets; one youth minister has been at his church for longer than five years and oversees a healthy and stable youth ministry; and one sent her entire youth group on an international mission trip for less than $300 per student, thanks to a church-wide fundraising effort to support the youth group. Two of the churches I mentioned are clients of YMI. Two are not. All have successful youth ministry because these churches make it an investment. YMI partners with successful youth ministers and pastors to coach and teach for us. 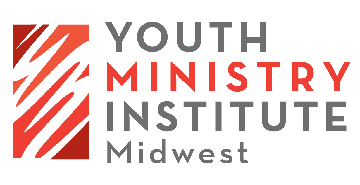 YMI partners with other churches to stabilize, grow, and renew youth ministry. These partnerships are successful because we support local churches in addition to training their youth ministers. Which of these four case studies is similar to your church’s ministry setting? Or, is youth ministry a priority at your church? How can YMI help? I wrote a short essay about death and transition 367 days ago. My words were raw, but I wasn’t ready to share my thoughts publicly. It’s been a year. Grieving takes time. How do you cope with grief? How do you help your students cope with grief? Those questions were part of my dilemma. Read on, and know that today I’m in a much better place. I’ll close the blog with an update below. I read scripture at memorial services for two of my former youth in the last couple of months. It wasn’t supposed to be this way. Both were in their 20s. Both deaths happened too soon – one was due to an accident and the other was due to an illness. It was after each of these services that I broke down – when I remembered spending weeks with them on mission trips and Sundays with them at youth group. Losses like these usually don’t hit me hard until after the fact. I like to be a helpful and calming presence when I’m visiting with families and friends – even in a hospital room or in a home experiencing crisis. I’m used to pushing aside my own feelings of loss to care for those around me. It’s not easy, but it’s a skill that I learned over the years in ministry. This (last) spring, as Youth Ministry Institute Midwest ramped up, I transitioned from being a paid youth minister to a volunteer. Once again, I pushed aside my own feelings until long after the fact. I love building relationships with young people on retreats and deepening those relationships each week with spiritual and formational programming. How will that change, now that I’m a volunteer? I finally realized this week that once again I was dealing with the grief of saying goodbye to my youth group. My sadness about losing two former students accentuated my grief. Jesus teaches us that he is with us “until the end of the age,” even as he transitioned from human life to eternal life. His model for ministry is hard to live up to, isn’t it? It’s been a year. If I were to rewrite my closing words I would choose Romans 8:38–39 instead of Matthew 28, for “nothing will separate us from the love of God that is in Christ Jesus our Lord.” Yes, Jesus is with us “to the end of the age,” but Jesus teaches more than just ministry of presence. It is His love that sustains us; His grace that heals us. I still think about those two young adults and I pray for their families. 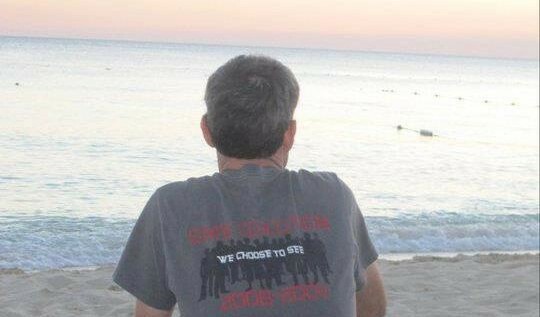 I think it was harder to grieve alone, without the presence of my youth group every week to share grace and support. Grieving takes time. I’ve made the transition from paid youth ministry to being a volunteer. It turned out to be a great adjustment, but it took some time to accept. Grieving takes time. My wife and I both volunteer in our youth group – she volunteers almost every week and I’ve helped out with mission days, a lock-in, and a retreat. It’s a good thing. Now we both are active in our church’s youth group. We are grateful for the opportunity, especially since our oldest son is in 8th grade. It’s been a blast for us to be a part of a ministry that gives life. It took time to move forward. It took time to heal from the loss of my former students. It took time to love new opportunities. Today I love my job. I love being a volunteer. I love seeing my son thrive in his youth group, and hearing about my wife’s experiences as a volunteer. Yes, grieving takes time. I thank God for healing grace. I’ve spoken with at least eight pastors in five different states over the last month. All of them are searching for a new youth minister. All of them want the same thing. You might think they want a relational youth minister with experience and all the bells and whistles. Of course. But that’s not only thing. 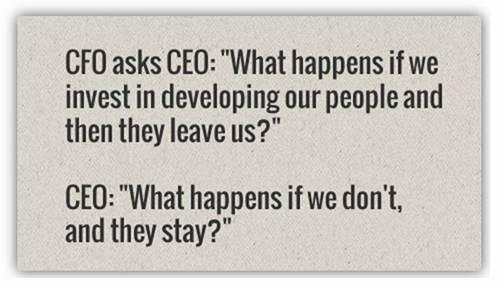 What they also want is to avoid the opposite – they want to avoid making a bad hire. Because church ministry is so relational, hiring a new youth minister can become emotional for search committees. The committee might love the “crazy fun youth leader” who has a game for every occasion and overlook the quiet candidate who excels at building relationships and challenging students to deepen their relationships with Christ. Which leader is the right fit for your church? I’ve met nearly a hundred youth ministers in the last two years. Many of them are highly skilled, and they have a variety of gifts. Some are relational… but aren’t necessarily organized. Others are delegators and organizers… but aren’t necessarily warm and fuzzy. 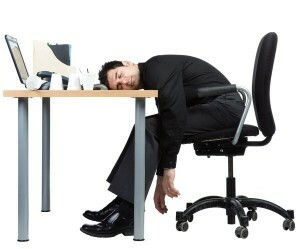 Some are empowerers that can find great volunteers… but aren’t necessarily focused. Others are strong leaders… but aren’t necessarily gifted with volunteers. Just as every youth minister is different, every church is different. Every stereotype listed above can thrive in a “best fit” ministry setting. Which leader is the right fit for your church? It might be better to head into the Fall semester without a leader rather than settle on a ho-hum candidate and risk making a bad hire. Are there other candidates out there whom you’re failing to reach? In other words, are you just posting the job or are you marketing it? How are you designing your interview questions to discern the right fit for your church? What are you willing to give up? Experience? A college degree? A denominational affiliation? What if the “best fit” candidate just needed a little training? None of us want to make the “bad hire,” and none of us want to be that person. Of course YMI offers support to local churches – phone calls are always free, and we offer a wide range of services to support local churches. 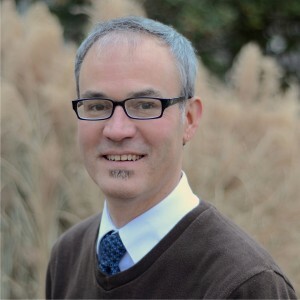 But the greater implication is that churches, like any nonprofit or people-oriented business, need to invest time into training their search committees. Every candidate strives to be likable. Churches that find the “best fit” in just a few short interviews are intentional, prepared, and prayerful. Churches with these qualities succeed at avoiding the bad hire. My basement is a mess. I can almost see your mental image, because I was just down there. We’ve got children’s clothes stashed along the wall. A bike with a flat tire sits in front of my old boombox. There’s another box of old coffee cups and glasses that we plan on setting out in a garage sale this summer. Next to my boombox is a treasured box of old cassettes. Remember those? There was a day when we’d line up at the record store to buy a newly-released LP or cassette of our favorite band. That was during my teenage years. Journey was one of my favorite bands. My 13-year-old son loves Journey’s “Don’t Stop Believin.” The song was released 34 years ago on 8-track, LP, and cassette (the CD player wasn’t released for another two years!). My son looked incredulous when I set up the tape player recently. 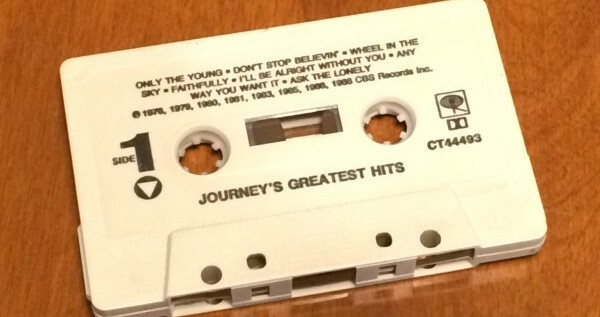 In the time it took to rewind my cassette, he bought the classic song on iTunes. The song is still relevant, but the context changed. Education is that way, too. For example, my father worked for 39 years at the same company. He was highly educated when he took the job and he kept up on his education over the years as technology changed. The person that replaced him has a different kind of education. Instead of a degree, my dad’s replacement was trained in a specific skillset. Education is more relevant than ever, but the context is changing. Education can learn a lot from iTunes. This evolving format of education is nicknamed by some as “just-in-time education.” The Washington Post recently ran a piece about this on April 13, 2015 (Are master’s degrees on their way out? Alternatives grow as enrollment fades, by Jeffrey J. Selingo). The article continues by saying “the graduate and professional education market is ripe for disruption.” I think the same thing is true about how we educate and train church staff who serve in youth ministry. You probably know where this is going. Youth Ministry Institute disrupts the traditional model of education with practical training and personalized coaching. We meet the need of providing quality training and theological education for youth ministers who enroll in our program. As a result, these youth ministers stay longer in their jobs and their youth groups grow substantially – usually more than double. I love that quote. The church enrolled in our program, and one year later, great things are happening in youth ministry at that church. 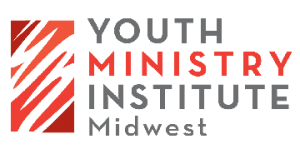 The church’s needs were immediate, and Youth Ministry Institute Midwest provided a relevant context to meet those needs, just-in-time.